We love using cutting strips as a fun way to practice scissor skills. I recently read an article about how young children are starting to have less developed hand muscles and poor scissor and pencil grasp. This really stood out to me. So, I started working on developing fun and engaging ways to develop those hand-muscles, for example, with our Easter cutting strips! 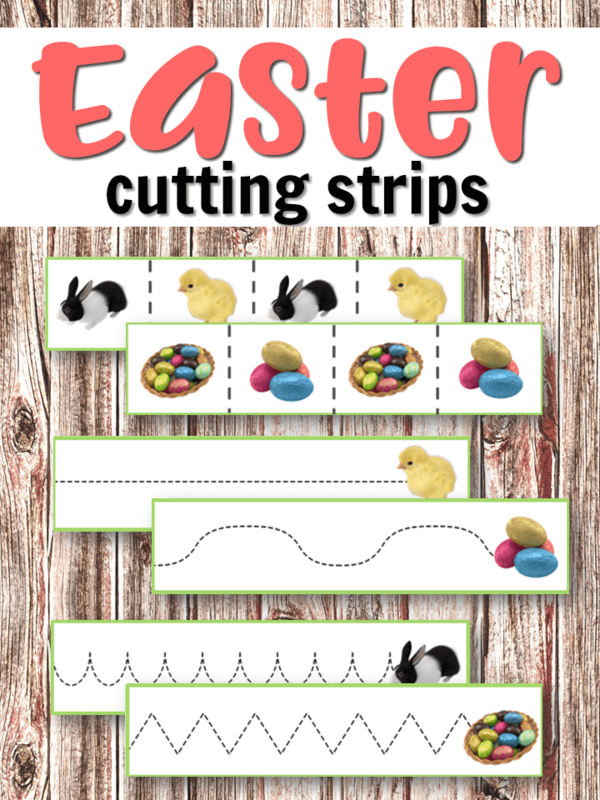 Use these printables as Easter Cutting Strips or as Easter Tracing Strips to create beautiful, engaging Easter activities your students will love! Grab them for free at the end of this article! Why: Practice scissor skills, using proper and safe grasp while neatly cutting along the dashed line. Children start by learning to snip then transition to cutting along lines. Strips such as these provide opportunities for working on scissor grasp with a visually appealing pattern. Note: When presenting cutting strips, be sure to provide a bowl or plate for your child to place the cut pieces. After the child snips the pieces of paper, you can use them to create a patterning work, or have the child glue the pieces onto a paper to create a work of art. Aside from the cutting strips for snipping, this set also comes with two pages of increasingly difficult pattern lines to cut along. These come in stages of increasingly complicated patterns to follow! You can use these for tracing or cutting. You can laminate them, and present with a dry erase marker for multiple use. Or use a pen or pencil. Get your own Easter Printables for free! This is a subscriber freebie! By entering your email above, you are signing up to the Welcome to Mommyhood newsletter. 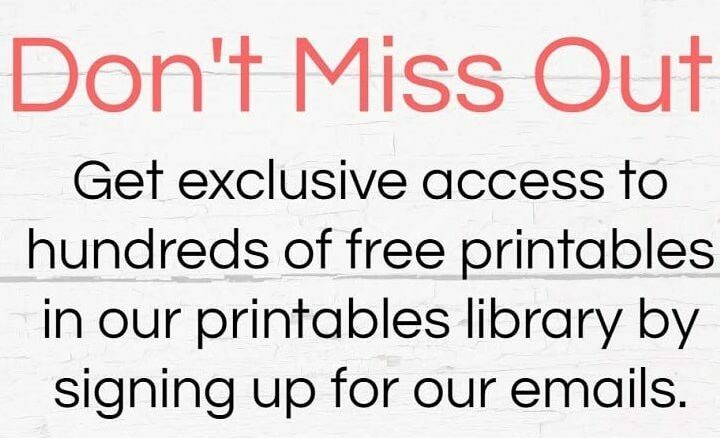 You will get occasional emails from us with more awesome printables and activities for free or from our shop sent directly to your inbox.